Do you want to find new apps for your Windows Phone 7 handset more quickly than you can on the device itself, or do you want to cruise the Marketplace before you pull the trigger on buying one of the phones? If so, we have the solution for you. If you own a WP7, I am going to go out on a limb and guess that there is a higher chance than normal that you are a Bing user, and if so, perfect, because our tip today is all about Bing. 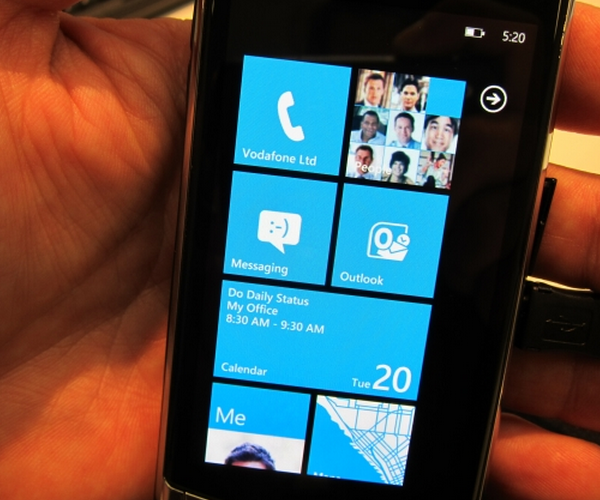 Using Bing’s ‘Visual Search’ you can browse the Windows Phone 7 Marketplace on your big screen, saving you endless time. To get started, hit up this link to get to the section of Bing that we are talking about. As you can see from the picture above, you can sort the apps by genre and status (top 25 etc), and you will always have the latest application count for your knowledge (there are a total of 1658 applications in the app store right now that Bing has indexed). If you click on the button where the total number of apps are listed, your screen will be filled with application icons, which you can sort by name, release date, rating, or download rank. In other words, you can slice and dice the apps in any way you could ever want. Best part? No ridiculous iTunes lag. It’s almost shocking. Finally, if you click on the main image on the right, Bing will serve you up a slideshow of all the images associated with that application. All in all, the Bing app search is a surprisingly good bit of software that Microsoft should be proud of. 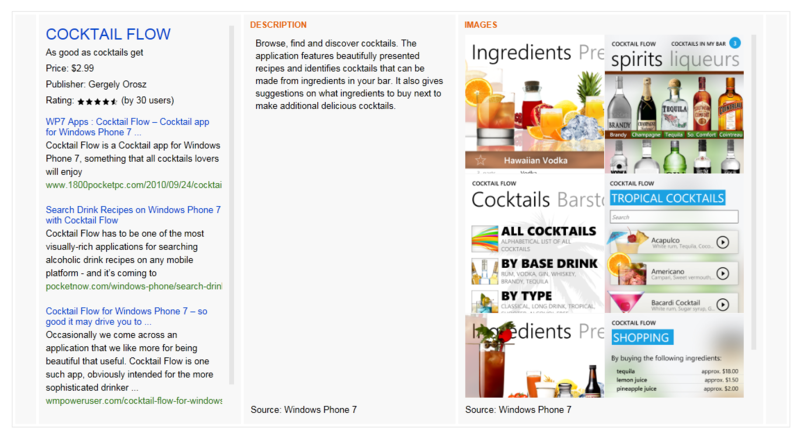 For WP7 owners, stay searching, my friends. Read next: What you need to know about AirPrint? It's all about HP.